Skysense wins the 1st prize at Honda Pitching Challenge in Vienna at Pioneers '18! At Pioneers'18, Honda invited top European deep tech companies in the fields of mobility, robotics, electric devices, and vehicles to enter its contest to win international growth support. Skysense was selected to take part at the Challenge and our CEO Andrea Puiatti presented on stage. Skysense was awarded the 1st prize and invited to join the Honda tech team in Mountain View - California, to explore collaboration opportunities. Skysense at ILA Berlin 2018 - ILA Berlin is the worlds' most innovative trade event in aerospace where leaders from the aviation and aerospace industries meet to collaborate, create new opportunities, and talk about the future of these industries. Skysense was invited to present its' unique drone charging infrastructure at ILA. ILA Backstage Event was an exlusive tour, before the official opening of the event, for a group of 50 reporters and Mr. Dietmar Woidke, Prime Minister of Brandenburg, Germany. Skysense was chosen to be the only startup company to present at ILA Backstage. 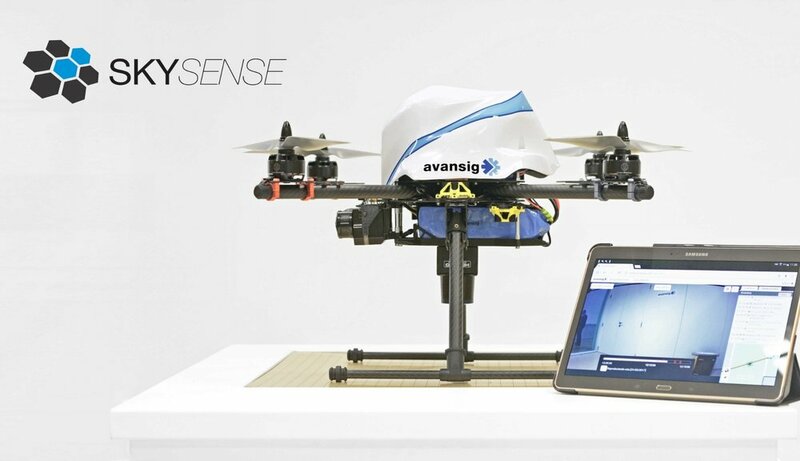 During the event, Skysense presented its' charging technology at the ILA Future Lab, as part of Airbus Bizlab, and was among the few companies to pitch their innovative drone technology. Now that the ILA Berlin 2018 - Innovation and Leadership in Aerospace is around the corner, we wanted to touch base again to know whether you or anyone from your team will be attending ILA this year. We would be happy to schedule a 30-minute meeting to discuss possible ways to collaborate. 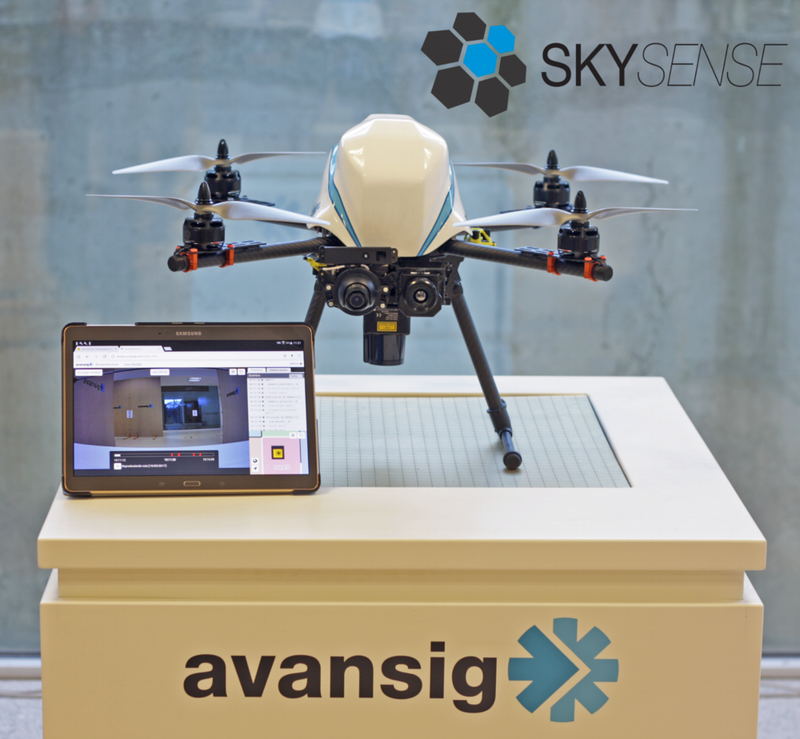 For further information about Skysense, have a look at our new homepage. 2017 has been an incredible year for Skysense. Production is in full swing and drone stations are shipping out every week to clients around the world! We would like to take this opportunity to thank all our clients for your valued support and business over the last year, we couldn’t do it without you! 2018 will bring even more excitement as we look forward to welcoming the Outdoor Charging Pad "Bolognini", our 500W big brother, opening many new possibilities for the BVLOS UAV industry and our clients. Lastly, we will be closed from the 25th of December 2017 and will open again on the 8th of January 2018. We would like to wish you and your family a happy holiday season and a prosperous New year.